Recently, I’ve met a lot of people going through crappy times (to put it lightly). It’s made me realize this year just how easy most of us actually have it. I hope your Thanksgiving is full of reasons to enjoy what you have, and–may I say–in an abundance of joy. Now, how do we say Happy Thanksgiving best on Wyvern’s Peak? 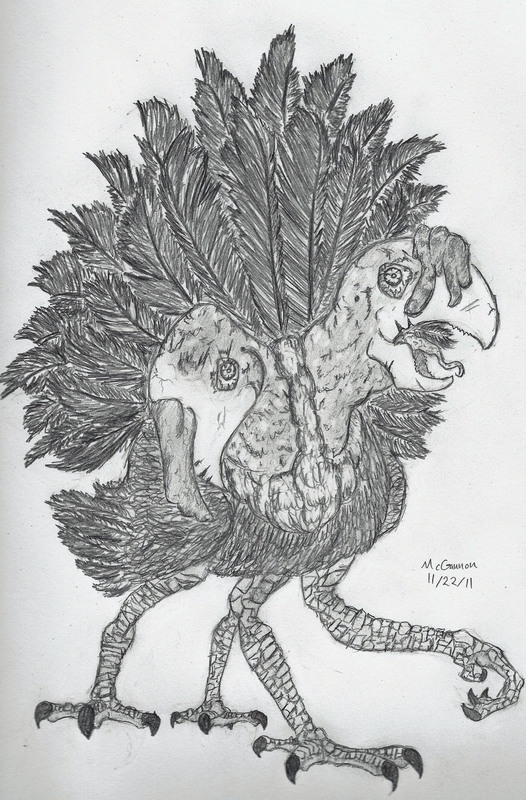 By drawing an evil turkey, of course!